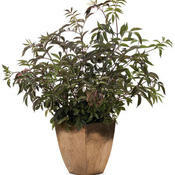 Sophisticated - memorable - beautiful - yes, it's an elderberry! 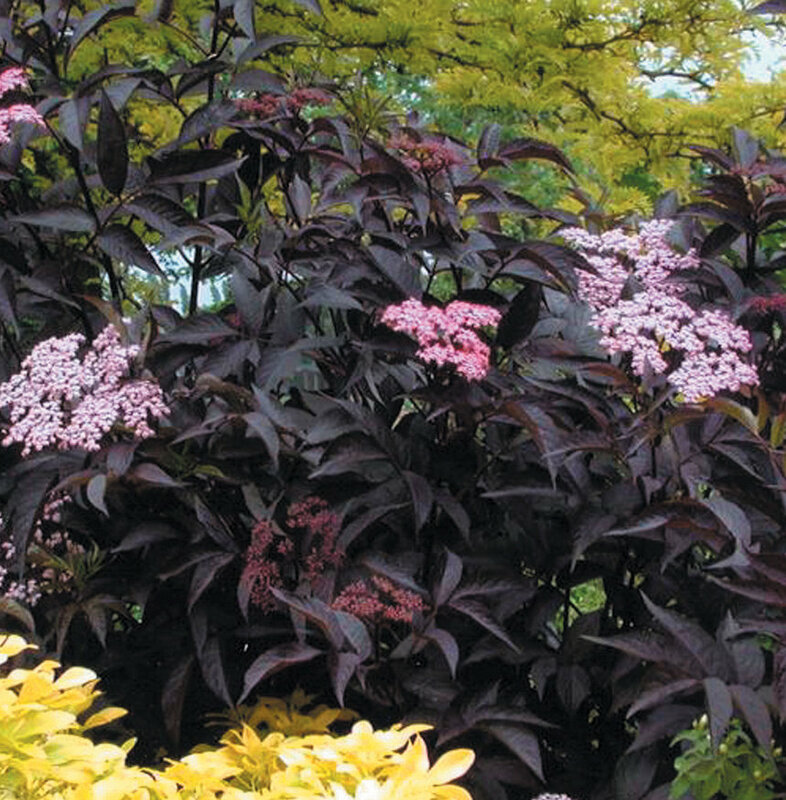 Elderberry is not the first plant most people think of for a dramatic landscape accent, but Black Beauty® elderberry changes all of that. 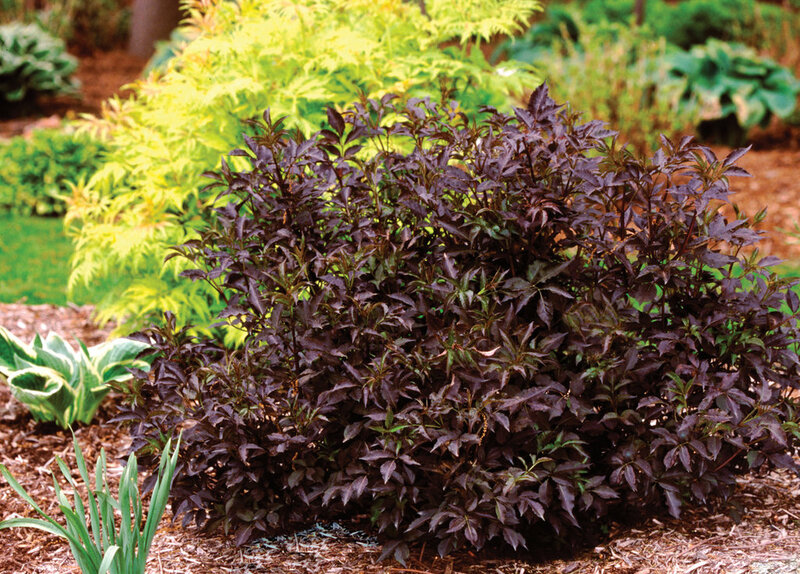 Dark purple-black foliage looks rich and lush all season and gets even better when accented by extra large pink flowers in early summer. Black Beauty elderberry produces edible fruit if a compatible pollinator, such as Black Lace®, Instant Karma®, or Laced-Up® elderberry, is planted nearby. 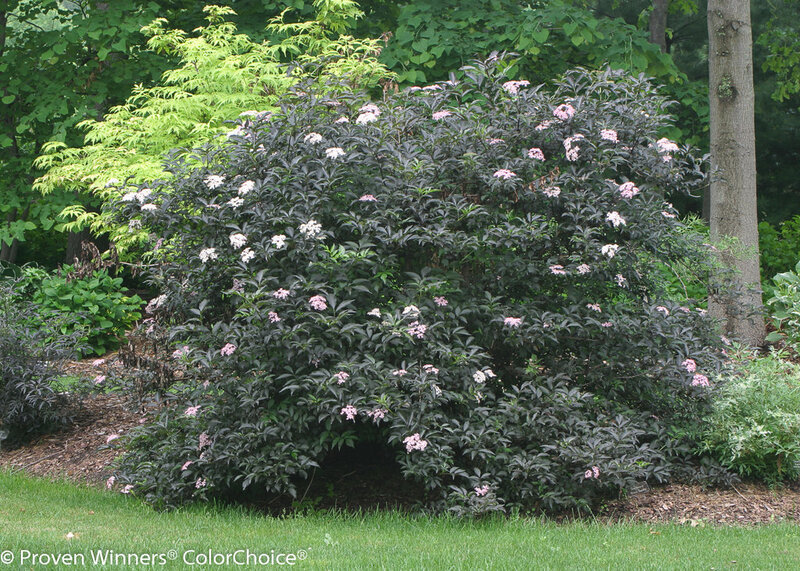 Grow either as a shrub or cut it back every year and make it into a bold perennial. 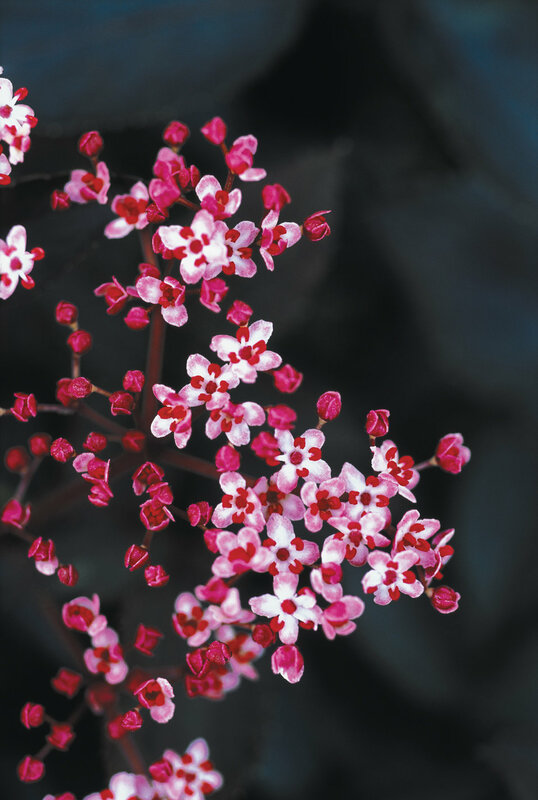 Good in groupings and masses, perennial and shrub borders, as a specimen or screen, on roadsides or for naturalizing, good in boggy or wet gardens. 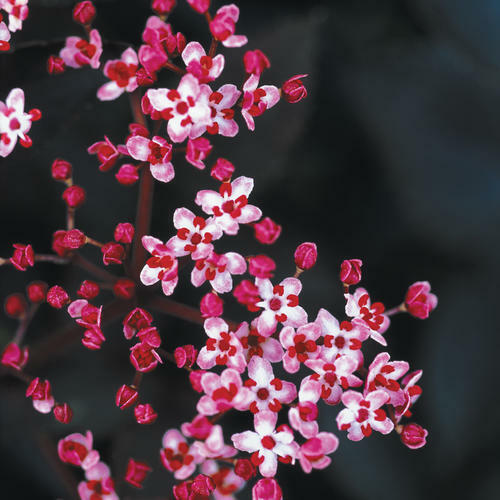 PLEASE NOTE: To produce berries, you'll need a Black Lace®, Instant Karma®, or Laced Up® as a pollinator. Both plants will get berries. 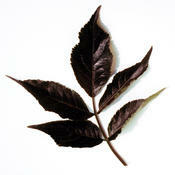 The color on Black Beauty elderberry is best in cool climates; in hot areas, it may grow primarily green foliage. 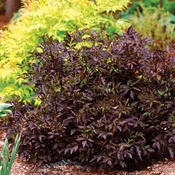 I purchased 3 of these and none survived the first winter (zone 5a). What I found interesting is that the garden center where I purchased them said he had heard these had a tough time surviving in our zone and would get smaller and struggle each year, if they survived at all. I found that odd since they are hardy to zone 4. But it seems he was correct. I purchased them anyway because of how gorgeous they are and I wanted elderberries. They were big, healthy plants when I purchased them (#5 containers). I also purchased 5 black lace and only 3 barely survived the winter and I doubt will survive much longer. The same with the Laced Up. Anyway, none of them survived and it was a mild winter. I was so excited for these plants but they truly disappointed. I am a avid gardener (over 30 years) used to do professional landscaping and used to own a garden center but I could not grown these in my zone. This plant did not survive over winter, I followed the instructions of growing and care for this plant and it has no green foliage this year, I am assuming it to have completely died. Very unhappy with the outcome of most of the shrubs from this company so far. The plants are growing fine but they are not purple. The leaves are dk. green but definitely not purple. This is the second year after planting. I thought they might darken up. I am very disappointed. Could the wrong ones have been sent? 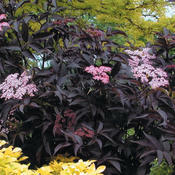 The tag says Black Beauty Elderberry, Proven Winners. I love this plant. It was the focal point in a garden at the end of a walkway. It grew beautifully had it for about 8 years and suddenly last year it just died. I think borers got to it when cutting it down there were holes through the center of the brances. I am going to replant this beautiful plant. Mine looked like a small tree. This shrub grew 10' every year, even though pruned almost to the ground. 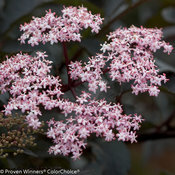 It was wispy, difficult to control, and never flowered for me after pruning. Very disappointing after all the hype. I was looking forward to this beautiful plant in my garden but the two plants I planted did not come back this year. 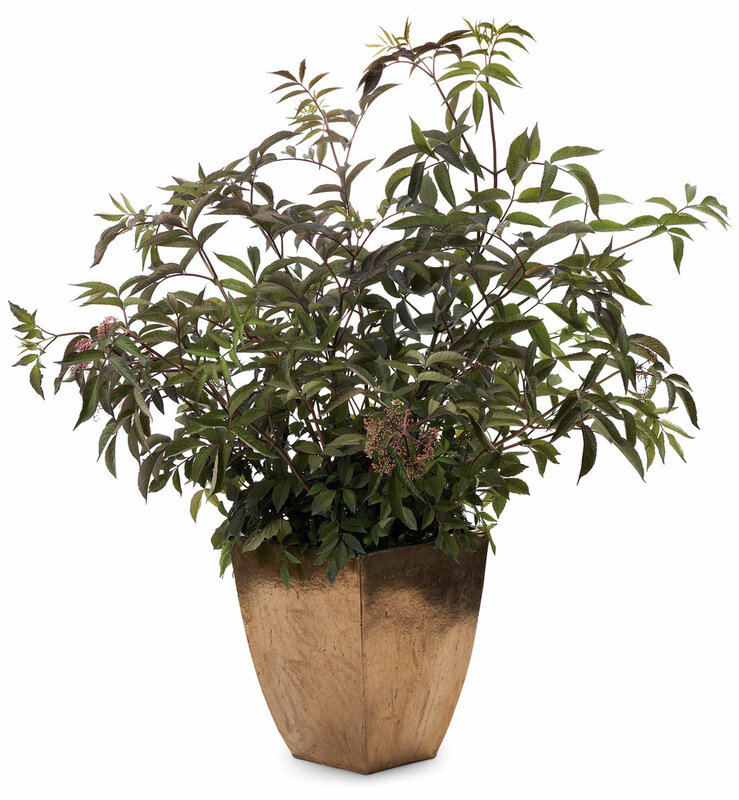 I have a weakness for dark foilage plants. 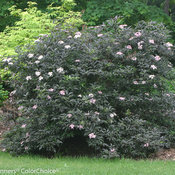 I have two of these in the back of my border and they are very carefree easy shrubs to grow. The flowers are so pretty againt the color of the leaves. I just love it.